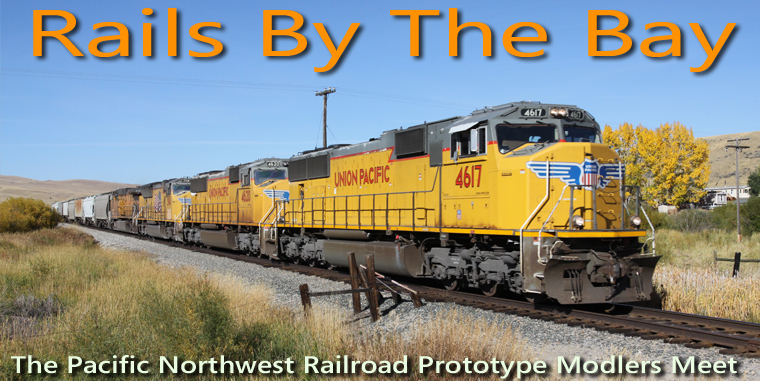 This Railroad Prototype Modeling (RPM) event is your opportunity to share your models with other modelers in the Pacific Northwest. This meet highlights railroads of the Northwest US and Canada, but models of all prototypes are welcome. You've heard about RPM meets before, now come see what these events are all about! -What is Railroad Prototype Modeling? -What happens at RPM events? This RPM event is open to all modelers regardless of the prototype, era, or scale they model. Everyone is encouraged to attend and display their model work, finished or not! Bring your locomotives, rolling stock, structures, vehicles, dioramas, and Free-mo modules to display in a non-competitive environment. You will also have the opportunity to meet fellow modelers, share modeling tips and techniques, and socialize with other members of the Pacific Northwest model railroading community. And did we mention raffle prizes? For questions or more information, contact us, or follow us on Facebook.